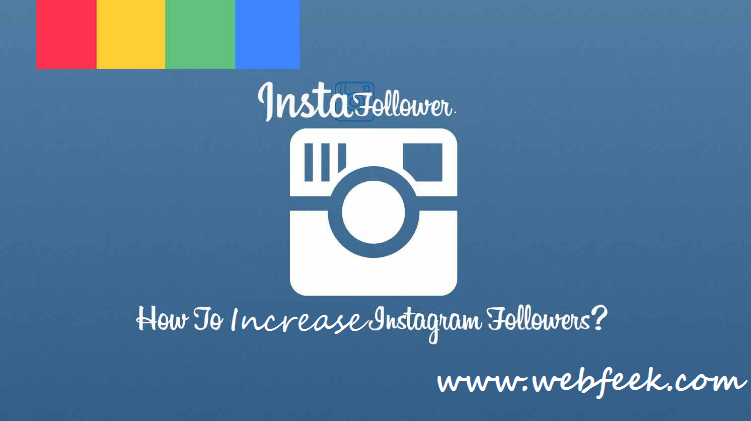 I have shared best ways to increase Facebook Followers, Twitter Followers, Google+ Followers and today I am going to shared best way to Increase Instagram Followers. If you follow this tutorial, you wouldn't need to buy instagram followers. As you can see right before our eyes, Instagram is now becoming a social media powerhouse. It is now getting into some serious mainstream with over a whooping 400 million monthly active users. On surface it looks bit like a combination of both Twitter and Pinterest. It plays on the visual obsession of our minds, and taps into the short attention spans of a generation. Along with its rapid growth, there comes a unique & strategic opportunity for marketing brands. And if you’re not just ready to ride that wave, you are missing out on a huge opportunity. When you don’t have a 100K followers on Twitter or you are not a uber popular brand, your bio has got to be more that just a bio it must be more compelling & appealing. You can use up to 200 characters to create your bio and introduce your business to people as why they should follow you and what’s in the store for them. Not much to explain adding a specific link of your site is surely a boost for your bio, make sure the url lands on a quick landing page. See how Big brands like Oreo are using reactive storytelling successfully. Who doesn’t like to feel inspired? It’s a fabulous way to trigger strong feelings.That will get you likes & Shares & more reach over your posts. Pro Tip: If you don't want to hustle and want followers fast, then you can buy instagram followers from here. There are many really useful tips. Especially if you have much time to do all of its. If you don't have time - the easiest way is to buy followers, but of course it costs money. There is only your decision - to spend money but save your time or not.